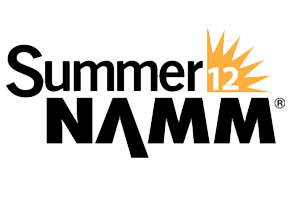 Stop by the booth and enter to win a Renovo Amp Works amplifier, effects, and more! 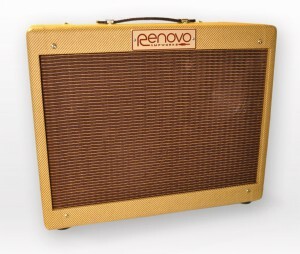 Each amp in the Renovo Amp Works line is designed not to emulate another amp, but to be a unique addition to the pantheon of great amplifiers. Our boutique amplifiers are each hand made and assembled in the United States. We take great pains to make sure each component is chosen with a reason, sonic, performance, or otherwise. Our current amplifiers and those in development promise to bring something new to the table. The Tejas is a vintage sounding tube amp tone with a modern twist. For the Tejas, we looked at the whole amp as a system, from guitar to speaker. In fact, we almost started backward, finding a great speaker and then building an amp around it. We designed it to sound great with single coils, and meaty with humbuckers. In short, we made the amp we would love to play. The first amplifier I built was the called the Two Stroke. It was a project in a book by David Hunter called, appropriately the “Guitar Amplifier Handbook”. For those looking for a challenge, you can buy the kit to build this amp at the Tube Amp Network. For those who are less daring, we offer a very similar amp that we are calling the Vintage Duo. The Sold Project helps prevent child prostitution through culturally relevant programs for vulnerable children, sharing their stories to empower creative, compassionate people to act. For more than three decades, Lifewater International has worked to bring clean water, health, and wholeness to impoverished communities around the globe. Lifewater has provided sustainable sources of clean water to more than two million people and trained thousands of gifted individuals in Africa, Asia, and Latin America to improve the well being of their people through water development and its accompanying work in sanitation and hygiene education. Pioneers role is to recruit, train, and support missionaries who serve in difficult environments around the world. With personal friends on the mission field in Asia, Europe, Africa, and beyond, we feel it is our role to help support them as they take the message of the Kingdom to the ends of the earth. If you know people who are on the global mission field, Renovo is more than happy to donate to a specific Pioneers affiliated missionary. Human trafficking is an organized criminal industry that affects every nation. While the statistics can seem overwhelming, it is important to remember that every number represents the life of a victim. The A21 Campaign has recognized a significant need in the region of Europe, and is committed to combating this injustice through rescuing one life at a time.